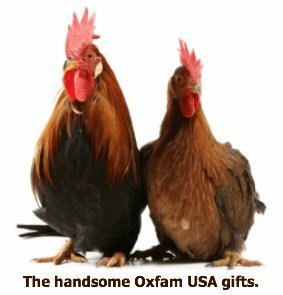 Charity gifts for chicken lovers! You know what it's like. You have a friend who's a chicken fanatic but has everything you can possibly imagine related to poultry of all shapes and sizes. What to do? Here's the answer - chicken charity gifts! Wherever you are in the world there's an online shop you can access any time, anywhere, courtesy of worldwide charity Oxfam. 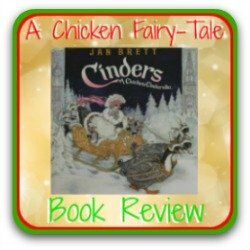 Why am I promoting these chicken-gifts? I use them all the time. They're inexpensive and they do immense good. For me, that makes them an ideal gift, either on their own or as part of a larger package. I give them to family and friends for Christmas, birthdays, anniversaries - whatever the occasion. I've bought them for my 3-year old nephew and for my 83-year old mother. Age doesn't matter, and it's a wonderful way for kids to learn about giving from the heart - and giving to people who have much less than they do. 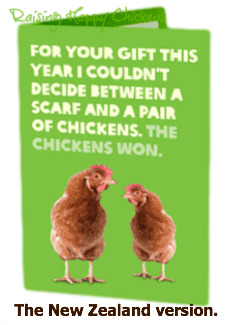 I don't always buy chickens - there are other gifts which are sometimes more appropriate to the person I'm buying for - but as I've got a lot of chicken-loving friends and family members, I do buy mostly poultry-related charity gifts. Do people I buy them for like them? Almost everyone appreciates the benefits of giving a sustainable gift to communities who are struggling with poverty, ill health and poor nutrition. I say "almost everyone" because my little nephew did once ask "What does it do? Where are the batteries?". Such is modern life. But a little patient explanation went a long way to helping him understand the importance of thinking about other children not as fortunate as he is - and he is now an enthusiastic teenage giver to others. I like to think I helped him grow up that way. 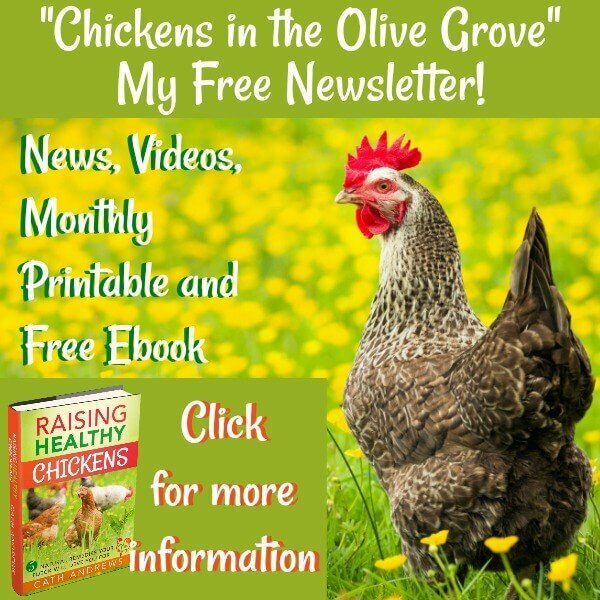 Why give chickens as charity gifts? If you have your own flock you won't need to ask this question, you'll already know all about the benefits. 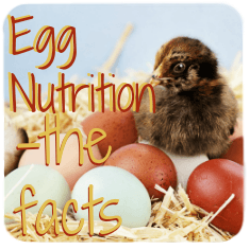 Chickens provide eggs, which are only complete food, full of protein, vitamins and essential fats. For people with limited access to food, that's a big deal. They also provide excellent manure, which can be sold within communities or used to grow other crops at no additional cost. 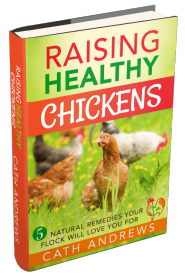 Chickens are inexpensive to keep, and easy to learn to keep responsibly. These charity gifts include the proper provision of shelter and food for the hens and, critically, training for local people in how to care for them. Chickens and eggs are also a marketable commodity, allowing families to sell them and so pay for school fees and health care. It's not about throwing money at a problem, it's about giving communities a sustainable source of income and individuals a sense of independence and self-worth. And that's a gift worth giving and worth having. It just makes you feel good! When Mike and I were married, we asked for these gifts as a wedding present - how much more satisfying it was than receiving fifty toast racks! 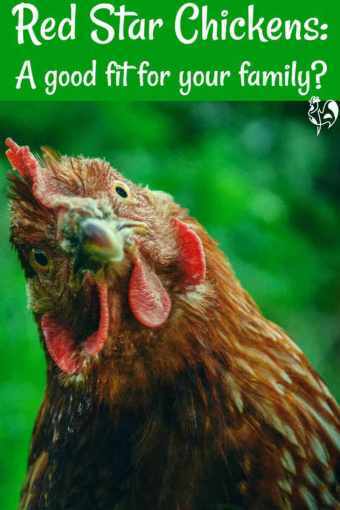 Can you choose where "your" charity chickens go? No. Each country has a different sponsorship programme, so it will depend on where you are in the world as to which country your donation will benefit. If you're really keen on supporting a particular community you could try writing to your country's 'Unwrapped' programme. But remember - charities like Oxfam keep an eye on worldwide need and put the gifts where they will do the most good. Simple. You need a gift - perhaps a last-minute one. You click on the link to your country here on this page. It takes you to the relevant Oxfam 'Unwrapped' page. 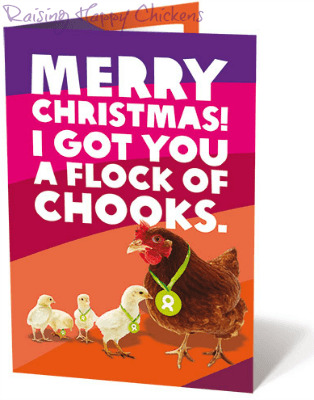 There you'll see a variety of gifts you can give, including chickens. It varies a little according to country. In the UK, for example, there's the gift of a single chicken (or goat, piglet, or sheep); in New Zealand and Canada there's a rooster too. 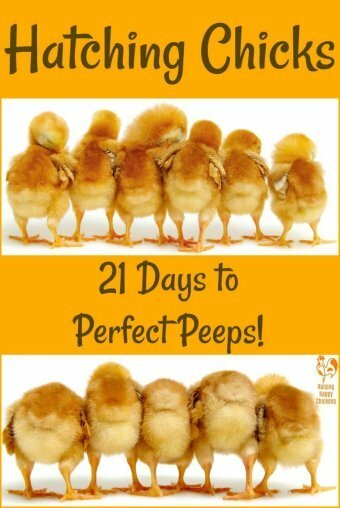 In Australia you can buy an entire 'flock of chooks'; and in America you can give a dozen chicks as a starter flock - or even add bees to the mix. You click, you pay, the lucky person receives in the post a gift card which tells them exactly what it is. Or for those last-minute gifts you can download or e-mail the card direct. Voilà! Gift sorted, communities helped! Please note : none of these links is an affiliate - in other words, I don't get any monetary benefit from promoting these charity gifts. 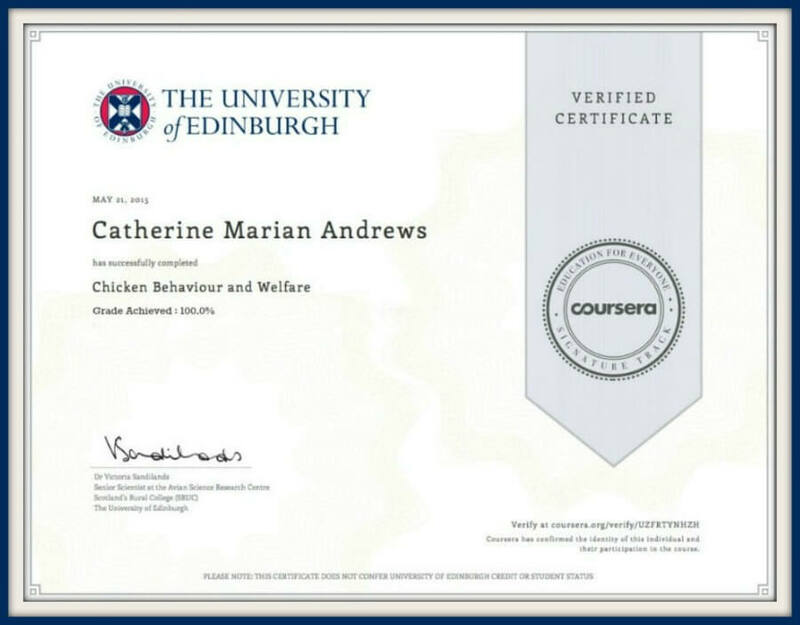 I do it just because I think it's a wonderful way of giving responsibly to communities who can use chickens not just to provide eggs, but to become more independent and self-sufficient. 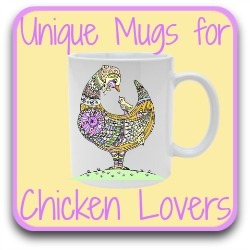 Looking for other inexpensive gifts for chicken lovers? How about these? Click on any of the pics for more details. 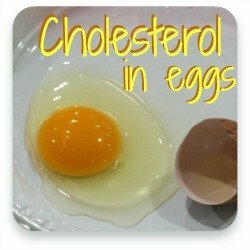 Want to know more about why eggs are such a great gift? 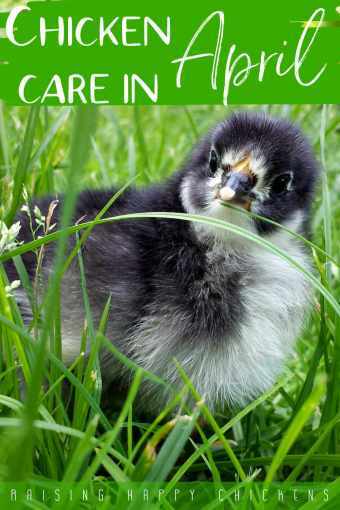 These charity gifts aren't about using chickens as meat - they're about providing an excellent source of nutrition through the eggs they lay, and the ability to keep the flock growing by breeding and selling on hens to other families and communities. 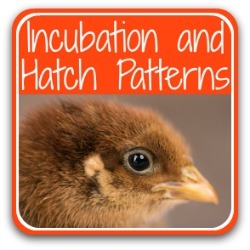 If you want to know more about why home pastured eggs are so good, or about the process of incubating eggs to hatch your own chicks, these links will help. Click on the pics below to read more. If you think this gift is a great idea too, please help promote it. 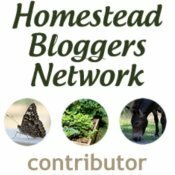 Just take a second to click on the Facebook 'like' or Google+ button below, or if you have a little longer to spare, leave me a comment to let me know what you think. Thank you!